The mechanics of the tricuspid valve are poorly understood. Today’s unsatisfying outcomes of tricuspid valve surgery, at least in part, may be due to this lack of knowledge. Therefore, the tricuspid valve in general, and its mechanics specifically, have recently received an increasing interest. This chapter briefly summarizes what we currently know about tricuspid valve mechanics. To this end, we separately review tricuspid leaflet mechanics, annular mechanics, and the chordae’s mechanics. Moreover, we categorize our discussion by the experimental environment in which these tissues were studied: in vivo, in vitro, and in silico. 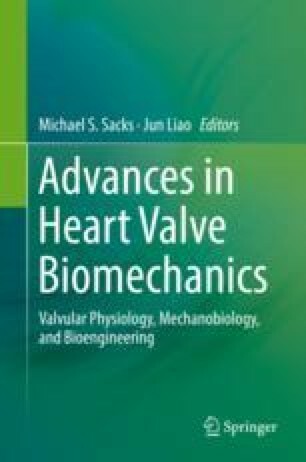 Finally, we make suggestions as to which areas of tricuspid valve mechanics should receive additional attention from the biomechanics community.